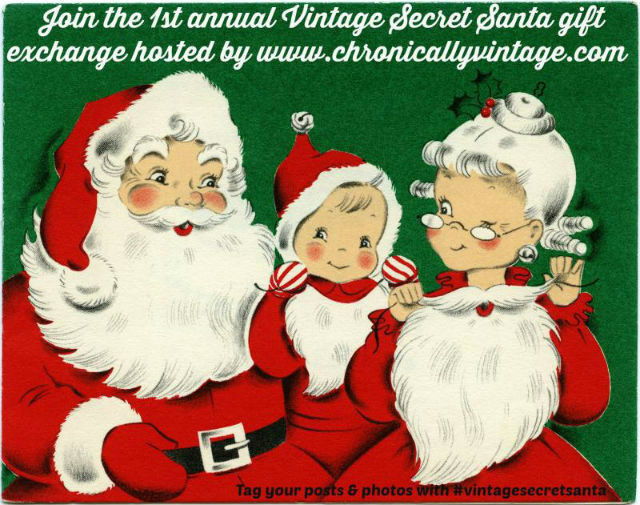 I signed up for Chronically Vintage‘s Vintage Secret Santa gift exchange! If you’d like to participate, sign-ups end November 25th, so go here right away! This entry was posted in Christmas, Give Vintage and tagged Vintage, Vintage Christmas, Vintage Secret Santa on November 23, 2014 by Meteor Vintage.